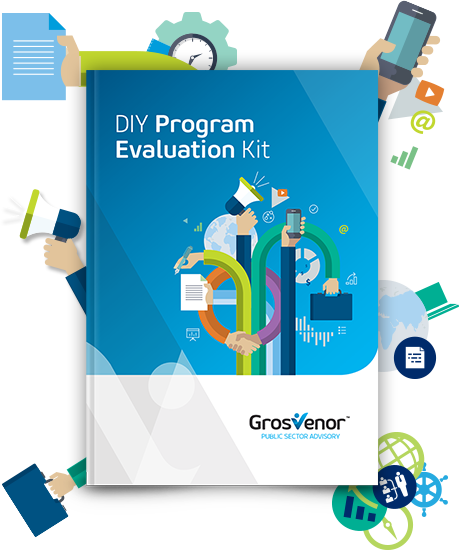 Does program evaluation seem a bit of a mystery? More importantly, how do I do it well? While evaluating Government programs isn't a trivial undertaking, the guidance material generally available to Program Managers is overly complicated, highly academic and difficult to apply practically. Grosvenor has been providing Government organisations with advice and support to design and deliver highly effective programs and services for over 15 years. Our Program Evaluation team has designed and executed evaluations for highly complex programs across a range of program areas including health and social, industry regulation and environmental programs.